These days our smartphones let us do much more than just send a text or make a call. These pocket-sized gadgets have transformed themselves into little computers that we can carry around anywhere we want. They let us send emails, browse social networks, upload photos and do much more. Needless to say, they can let you do pretty much everything that you do on an Internet-enabled computer. Having said that, these powerful features come at a price. Often times, even a task as simple as uploading a photo ends up emptying a major chunk of your mobile Internet data. Mind you, 3G and 4G cellular data connection can be pretty expensive and one has to be careful not to use too much data at once. So, the big question is, how does one take full advantage of a smartphone's features while not paying exorbitant mobile data charges? My Data Manager is a simple yet powerful application for keeping an eye on your data usage. 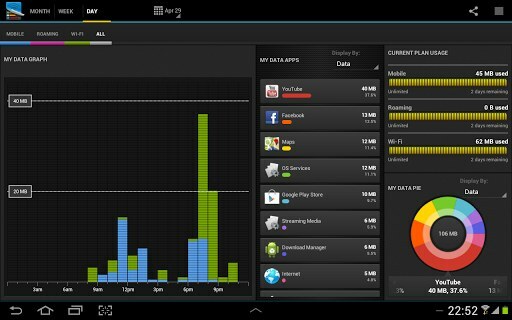 The application is easy to setup and can track app time and usage pretty accurately. Once it has collected enough information about your usage, it will show you a visual chart of your data usage that helps you understand which app consumed the most data. My Data Manager also lets you setup usage alarms that alert you whenever you've exceeded the data limits. 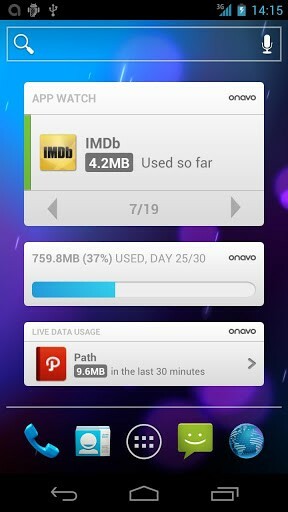 Onavo has to be the best data-saving application out there in the Play Store. The app, once installed, keeps a close eye on your data usage and promptly warns you when you're about to exceed the limits. One of the best things about Onavo is that it lets you set data caps in your own currency. So, for example, here in India, I can set Onavo to follow my data plan that costs around 249 ₹. Then, the application counts how much data I've already spent and how much is remaining. 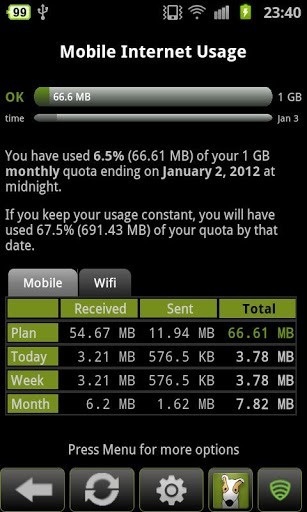 What's more, Onavo also smartly turns off your data once you've reached bandwidth limits. It identifies data hogs and restricts them to Wi-Fi so that you won't get an exorbitant data bill for uploading a couple of photos to your favorite social networking site. With over 11 million downloads, dodol is an app that comes with one of the cleanest UIs as far as data-saving apps are considered. dodol is packed with nifty features and shows your usage in neat charts that are easy to understand. Another great thing about it is that it also supports widgets for your homescreen. 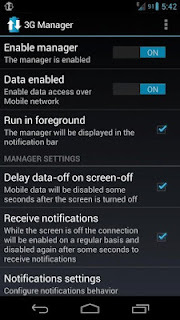 This is a simple application that saves your data by disabling 3G whenever your screen is locked. 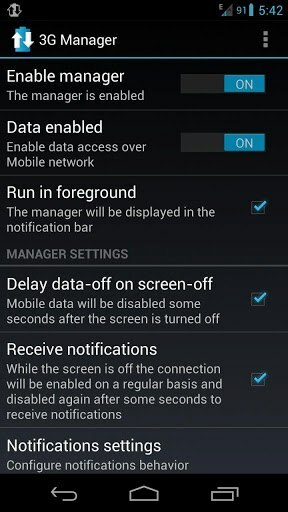 Other than that, this app also supports disabling data whenever Wi-Fi network is connected. What I personally like about this application is that it lets you specify reconnection time. This means that you can set the app to connect to the network at specific intervals so that you won't miss out on important mail notifications. Though not loaded with too many features, 3G Manager is a great choice if you're looking for something simple that just does the job. 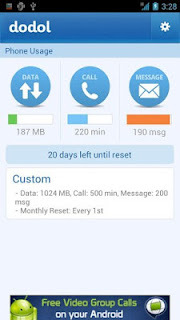 3G Watchdog is a simple application that monitors your 3G data usage and warns you are about to exceed the data limits. 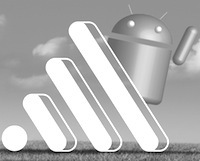 Once installed, the application runs quietly in the background showing you a status icon in the notification bar. If the status icon is green, you're good to go. If it turns orange however, you'll have to be careful with your data usage as you might exceed the usage limits. If you have exceeded the limits, the icon will then turn red. Apart from notifying you of your usage, the application also presents detailed reports that let you understand how much data was uploaded and downloaded from your device in a single day, week, and a month. Though not as feature-rich as Onavo, 3G Watchdog is a great choice if you're looking for a decent data-saving app.